Nothing makes a wedding more successful than a great meal. Many of the weddings we have seen throughout the years have been defined by a well prepared, delicious dinner shared by family and friends. Caterers also provide a backbone for the schedule throughout the wedding day, so having a company that has the food ready when it’s supposed to, and servers that are friendly and engaging to your guests is of upmost importance. 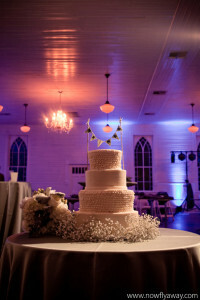 Hill Country DJ works with new caterers every week, and the companies we have linked to below are ones we find to the continually provide exceptional service, food, and smiles. We couldn’t be happier to recommend them whole-heartedly.